The 2014 US Beef manager's meeting was held at the Joint in the Tulsa Hard Rock Hotel & Casino. 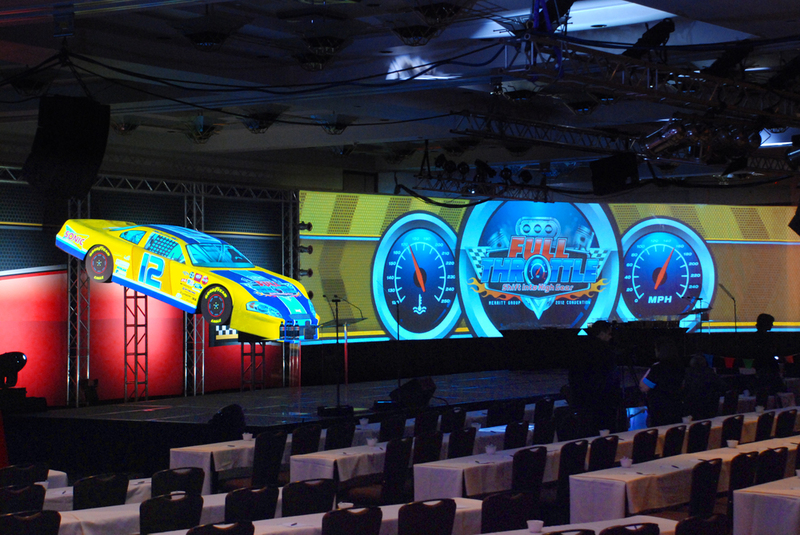 We used a single large screen to display graphics, animation and video for the annual meeting. We shot and edited multiple videos, including a happy themed montage of a day at Arby's. Three screens displayed sponsor information, auction and raffle items, along with promotional videos and live IMAG video. 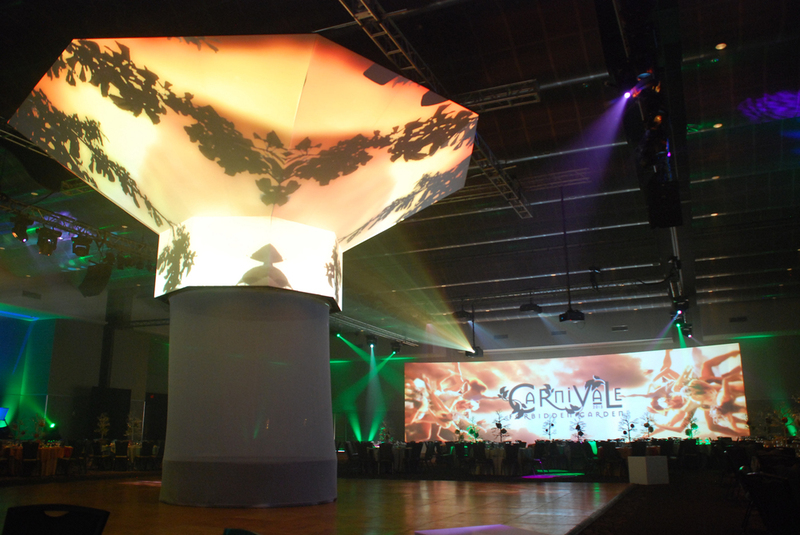 A working runway was constructed for models to display the latest fashion in footwear. 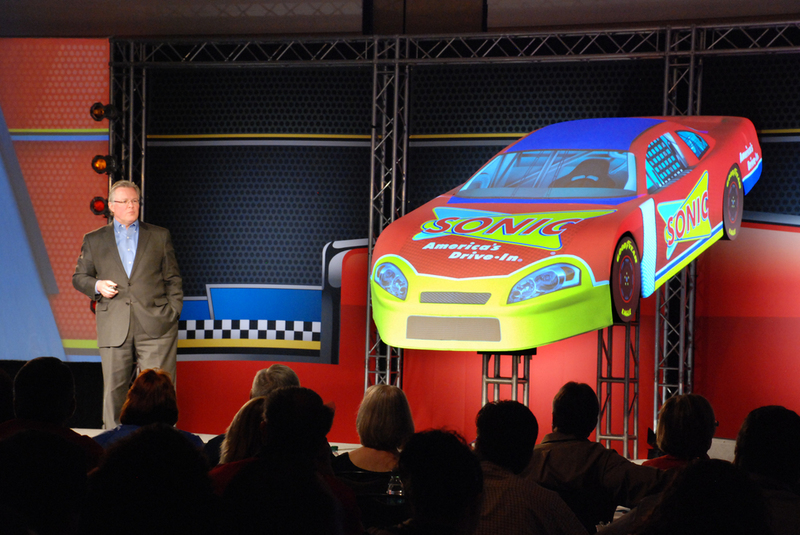 The 2012 Merritt Group Convention was all about racing. We used projection mapping on a real life Nascar vehicle body. The car changed designs throughout the convention displaying logos and colors of corresponding speakers. At times the car appeared to be moving with spinning tires, reflections and smoke. A lucky few were projected as drivers to introduce guests. A four piece printed banner surrounded the car and two of our large screens displayed speech support, videos, powerpoint, graphics, animation and live IMAG video. The newly married couple wanted their reception to be an affair to remember. 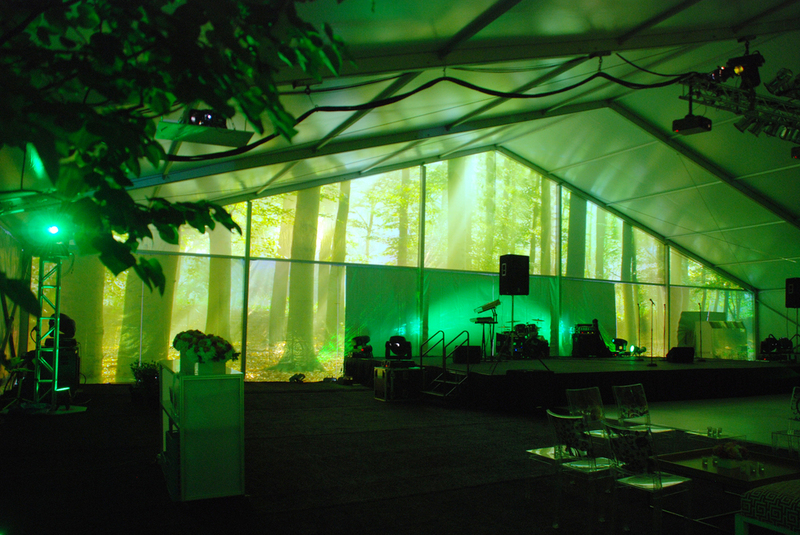 We projected forest imagery on the wall of a tent behind the wedding band. 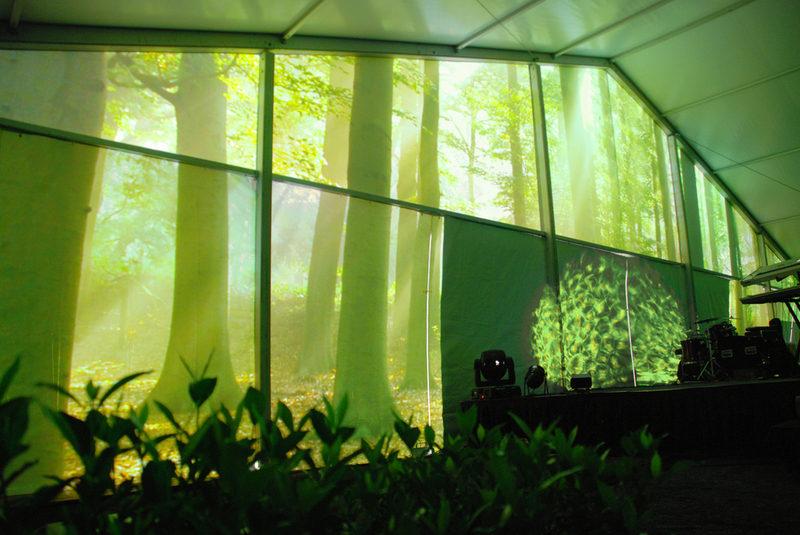 Glass gobos were used on another wall to supplement the woodland feel. After all, who wants to have a party in a boring white tent?